Nobody likes to dine at a place that has bad odors coming from the restroom drains, or that has toilets and urinals that are out of service. One common mistake that restaurant owners make is not realizing the importance of proper maintenance of their plumbing system. No matter how good the food is, plumbing system problems in restrooms and in the kitchen can be disastrous at any restaurant or hotel. It is unsanitary for a food business to disregard any troubles in restrooms such as clogged toilets, out of order flush, overflowing sinks and waterless taps. Then there’s the clogged kitchen sink where everything needs to be washed from kitchen utensils, pots, veggies, meat, etc.When foul odor escapes into the dining area, what will you do? So before all of these craziness happen, be sure that your plumbing system is properly working avoiding such menace at your restaurants. Rusty’s Plumbing ensures you and your customer that the restrooms will always be in order, the kitchen sink and the pipelines at your business are also free from any possible blockages. Call us for any emergencies and even before emergencies occur. We are available 24/7 for any of your plumbing troubles. 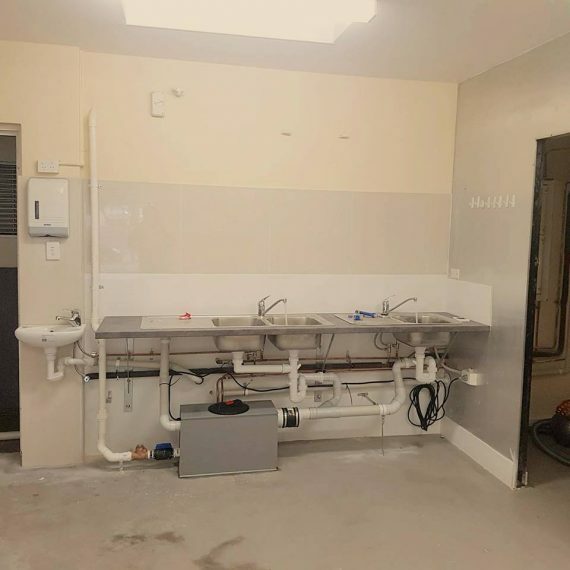 We are the recommended plumber for restaurants in Morley, Dianella , Mirrabooka , and the entire Perth Area. Our commercial plumbing team as been tried and tested for the past 20 years to bring you the best plumbing service in the area.